Over the next couple of weeks Della Parsons, our Crew Recruitment Manager and circumnavigator extraordinaire, is touring Australia and New Zealand searching for the next generation of adventurers to take on the ultimate endurance challenge that is the Clipper Race. Having completed her first tour dates in Perth and Fremantle, WA, Della is now in New South Wales meeting potential crew members who want to join our elite group of racers for the 2017-18 edition and beyond. Today (Wednesday 31 August) she at the CYCA in Sydney and tomorrow (Thursday 1 September) will be at the Castlereagh Boutique Hotel in the city, where she will be joined by crew who have just finished the latest edition of the race and will be sharing their tales of what it’s really like to race around the world on a Clipper 70 and how you too can get involved. Della, who has taken part in two Clipper Race editions herself, says: “It has been an excellent start to the tour, I have met a great mix of men and women from a variety of backgrounds and it has been really interesting to discover people’s different reasons for wanting to push themselves to try a new challenge and learn how to sail. 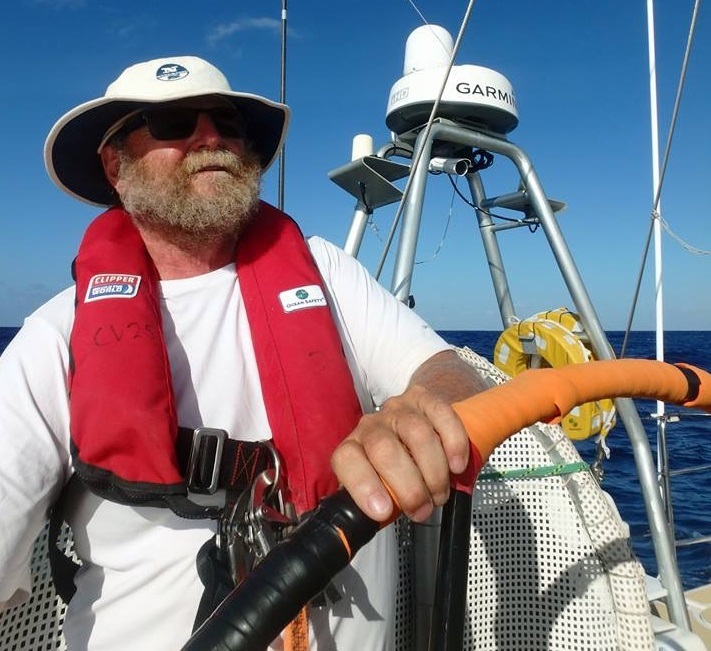 Michael 'Chewy' Molesworth, 67, from Sydney, completed the full circumnavigation on board the Da Nang – Viet Nam team, which was led by Sydney Skipper Wendy Tuck, and he will be at both of the Sydney talks to share his experience with those interested in signing up. Q: What first attracted you to the Clipper Race? A: I've always wanted to sail across the great oceans of this world. The ocean has always attracted me, whether sailing, surfing, diving or just sitting watching it. I saw a railway poster about the Clipper Race and I knew it was for me. Q: Can you tell us about some of the highlights over the past year? Q. What did you learn about yourself on the race? 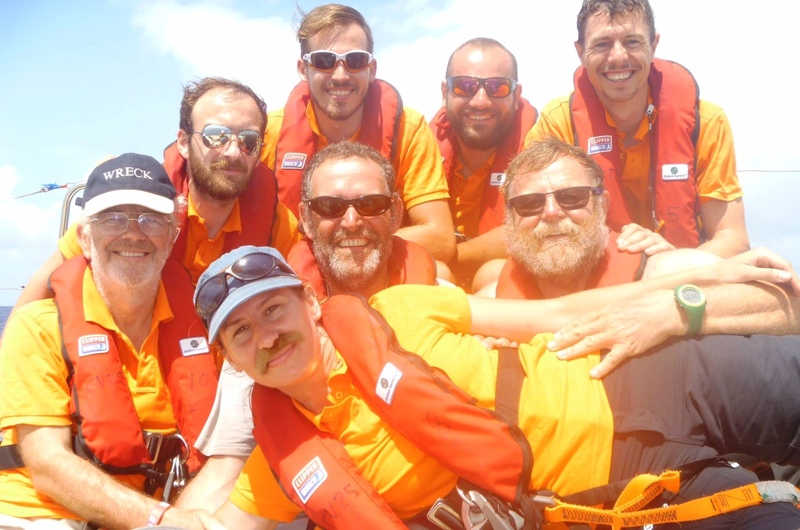 A. Firstly, whilst I might have been one of the oldest crew members, age is no barrier to adventure and new challenges - if you do it with the right team you can teach old seadogs new tricks. Secondly, I've always thought I was very tolerant of peoples abilities or the lack therefore, especially when people know their limitations and are prepared to listen and learn new skills. Exhaustion, both physical and mental brings out the best and the darkest in everyone, including me. I have a limit to my tolerance, particularly when risks to the safety of the boat or crew members exists. I confirmed that I should measure my respect for people by what they do and achieve. Everyone on Da Nang - Viet Nam earned my respect for what they achieved - some more than others. There are two particularly exceptional people on Da Nang - Viet Nam who earned my greatest respect - they are at opposite ends of the sailing spectrum. Wendy Tuck who was the most awesome skipper whose leadership, knowledge and skill brought us all safely around the world, even if some crew, including Wendo, were at times a little battered and bruised. And Bridget Keevil, who I initially call everyone's idea of a tuckshop mum (sorry Bridge!) with no sailing experience, she turned out to be one of the strongest and most amazing people I've ever met. I'm so proud and honoured to have had an opportunity to sail with both these two very special people and all the other Da Nangers. Q. What were your biggest challenges? A; I knew that the sailing and the ocean would be hard, very hard, especially at my age. I've sailed all my life (thank you, Dad) , I've sail in the Sydney Hobart Yacht Race before, I've cruised/sailed around the South Pacific Ocean with my family but I'd never RACED across the great oceans of the world before. I knew what the ocean could throw up and I have the greatest respect for it but ..I hadn't experienced the full force of the ocean's power. In my cruising life, I'm a 'chicken' when it comes to a bad forecast - my rule is stay at home or in a safe bay or anchorage until you get a good forecast and "Gentlemen don't go to windward" - that that changed on this trip. I'd experienced 40 to 50kts but nothing more (I didn't want to experience anything more) but knew I would have to during a round the world Race. Once I'd started my training on the 68s in Sydney I knew the Clipper Race boats would handle everything thrown at them, they are strongly built but would I handle it. I was not scared but highly apprehensive about my performance on such a big boat with a crew I didn't know. A number of times I came off watch so exhausted both physically and mentally that I sat on the cabin sole fully dressed in my foulies trying to get the energy and my head together enough to get undressed and into my bunk. I'm still in total awe of all the Clipper Race crew members who signed up who have little or no sailing experience. Is ignorance bliss!!!?? The vast majority of these people took on a challenge much great than mine, they learnt new skills, they executed those skills, they performed remarkably in nearly every circumstance - they were awesome. For me, the mental challenge was the hardest. The relentless challenge of minimal sleep and uncertainty of what Mother Nature is about to throw at you was exhausting. Q: What is next on your to do list? A: There are 11 things on my 'To do List' on the fridge (there will be more things on the list by the time I finish this email) from fixing the leak in our roof which has been there for 40 years since the house was built, to visiting parts of Australia which I've not been to yet. Sailing wiser, some cruising with friends and family - auto-pilot on, furling sails (no more hanks), inside steering position for when the weather gets unpleasant, Rum and Coke in hand and reducing sail when the sausages roll off the BBQ. I very much doubt that there will be another trans-ocean race - been there, done that. Though never say never! 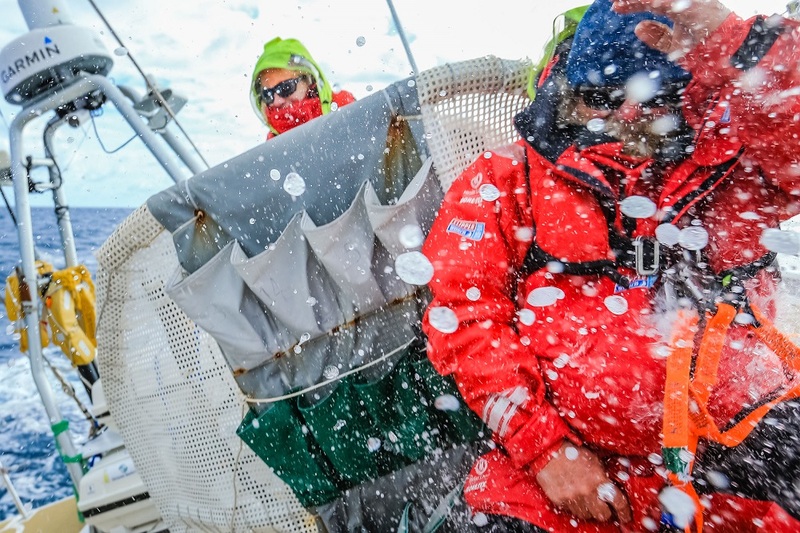 Q.How are you settling back into post Clipper Race life? Q. Who do you keep in touch with? A: I've made some great new friends and a few live in Sydney but so many, even those in Australia are a long way from me. Many are in UK (oh my god, the Yorkshire mafia onboard Da Nang- Viet Nam!!!!!!!) and they will be hard to see regularly - there goes the children's inheritance, again. At least there is always Facebook! Q. Any advice for future crew thinking about doing the race? A: Do it now before you get any older. the Zimmer Watch on Da Nang- Viet Nam did a fantastic job for a bunch of 60+ year olds but ... Forget your jobs, sail around the world, you'll be a better person for it and you'll enjoy the experience - well, you'll enjoy most of it - The memory of the bad bits fad quickly and all the good ones burn on burning brightly. Sydney is one of only two cities in the world where crew can choose to complete their intensive pre-race training, and Australia is the second largest nationality of crew represented on the race, with 57 crew from Down Under on the 2015-16 edition. The last two race editions have included races to and from Sydney, and the fleet also participated in the Rolex Sydney Hobart Race as part of the All-Australian Leg. The 2017-18 race is now about 70 per cent full but crew places are still available on most legs. You can find all the details on all our current crew recruitment talks here. If you would like more information on signing up for the race, please email dparsons@clipper-ventures.com or call +44 (0) 2392 526 000.